Itineraries are the ideas which help us identify our tour options in the best possible way. They inspire us to travel and even support us in guiding the best way of travelling for us. Every country has numerous attractions and routes of travelling which helps tourists in exploring its best in the most promising way. Itineraries identify the tourism potentials of a country and based on diverse nature of travel; cater to the most promising way of travelling. If we talk about a country like Nepal, the attractions as well as ideas are many to explore this small destination in a desired way. 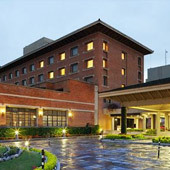 There are numerous facets to this destination that add up in terms of many travel itineraries. 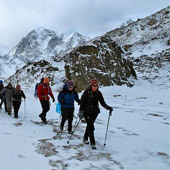 Adventure is the prime aspect of travel plan in Nepal. Because of the obvious presence of the Mt. Everest and other seven highest mountains in the world, upper Nepal is the most iconic travel wealth of the country. 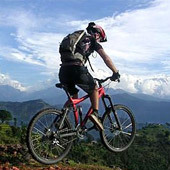 With the heights, the tourists here can enjoy a variety of adventure sports like mountaineering, trekking, camping, paragliding, mountain biking, hiking, etc. Nature also forms an essential attribute of Nepal due to which the wildlife tours, bird and butterfly viewing tours are very popular in the region. Other interesting facet of Nepal is its spirituality. Associated with many pilgrimage experiences, the country has a lot of Hindu and Buddhist shrines that add up to a lot of religious itineraries. The presence of shrines like Pashupatinath, Changu Narayan, Lumbini, Swayambhu and Boudhanath also add on to the prospect of pilgrimage itineraries. The country’s possession of distinct culture and heritage is also a different itinerary experience in Nepal. It has the densest collection of world heritage sites, spectacular festivals and rich culture that can be experienced in a cultural tour to Nepal. Wellness tours are also a great phenomenon in the country. Yoga and Meditation are mostly followed with great zeal by tourists here. If you are keen on exploring Nepal and want to explore the best of itineraries in this colourful country, visit the specific interest based links below. Or contact us by filling the query form.